Lately I have been pretty obsessed with Lavash. 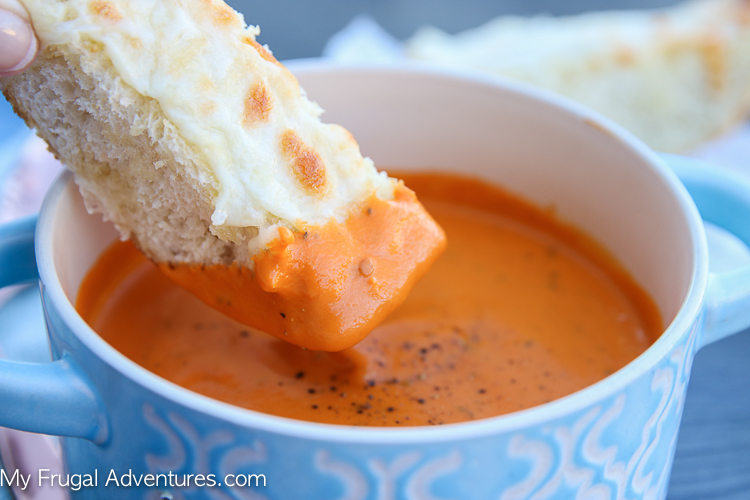 Have you tried Lavash bread? It is a soft flatbread that is traditional in some Middle Eastern cultures and can be used to roll up sandwiches, for grilled paninis, topped with sauce and cheese for homemade pizza, eaten with hummus and so much more. Lavash is sort of like a pita bread but quite thin. 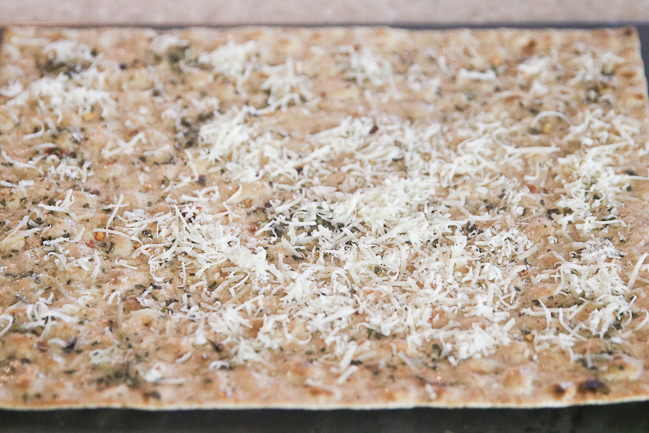 I mostly use lavash to make very quick little pizzas for the kids. It isn’t too filling, comes together in minutes and it is really delicious. I spread light sauce, sprinkle on some cheese and whatever toppings we have on hand and bake for about 12 minutes. 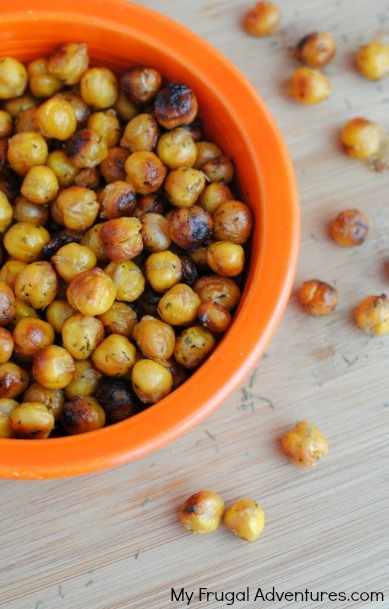 Seriously the fastest and easiest snack. I also started experimenting with making lavash crisps- just baking the lavash with various toppings to create a crispy cracker that is so good with soups or salads or with hummus and veggies and olives. This is the easiest recipe and if you haven’t tried lavash, I hope you pick a package up on your next grocery run. 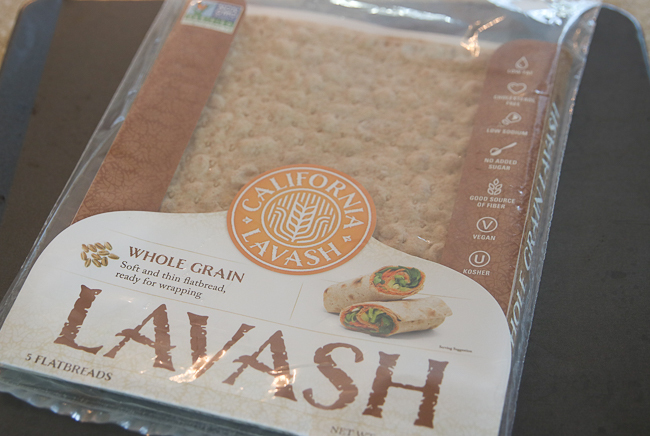 This is not a sponsored post but the lavash I pick up most often is the California Lavash whole grain (usually in the bread aisle at the bottom). For these crisps, I sprinkled on some seasonings, spread a little olive oil, topped with salty parmesan cheese and baked for 10 minutes. I like lavash best when it is hot but you can also make this ahead and I have found it is still crispy a few hours later. 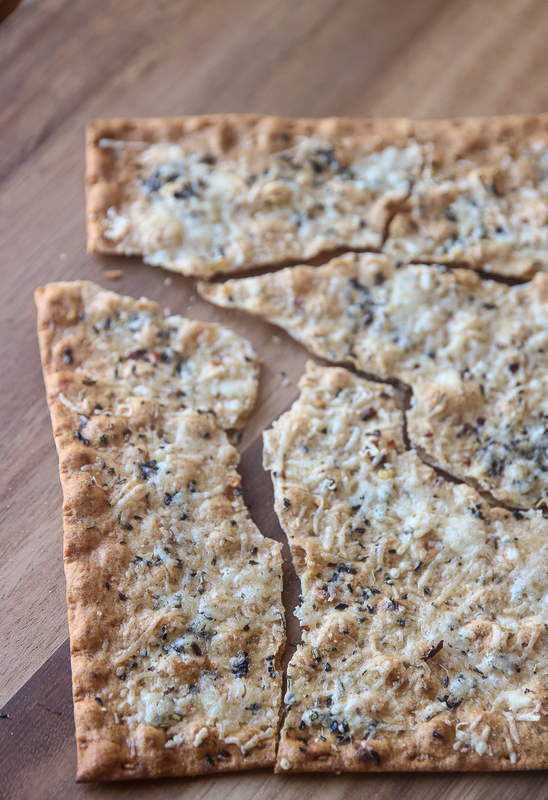 Quick and easy lavash crackers recipe. Place the lavash bread onto a baking sheet and spread olive oil all over the surface with a pastry brush. Sprinkle seasoning mix, red pepper flakes and parmesan over the top of the bread. Sprinkle sea salt to taste over the top. Bake for 8-10 minutes until crispy and bread just barely starts to turn golden brown. Once you pull these out of the oven they are going to taste amazing and it is hard to not just dig right in! I crack them up once they are cooled and eat right away. My oven does take 10 minutes exactly for these but since the lavash is so thin it will burn quickly. I definitely suggest checking at about 8 minutes to see if they are starting to brown. Remove from oven immediately. Also a note on the seasoning- I just used a basic Italian Seasoning mix with a little red pepper flakes for kick. You can substitute ranch mix, dill, garlic powder or whatever seasonings you might enjoy. Plain parmesan with salt and pepper would be delicious too. If you give these a shot, please come back and let me know what you think!